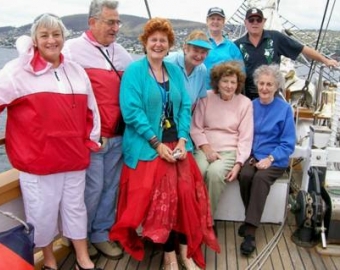 The Lady Nelson was host to the descendants of those Norfolk Islanders who sailed to Van Diemen's Land in 1807. To celebrate the Bicentenary the Lady Nelson took a two hour sail up and down the River Derwent, once in the morinng the other in the afternoon. 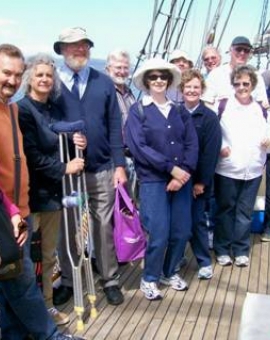 Everybody enjoyed being on a tall ship identical to what their ancestors came on two hundred years ago. The second historical sail will be conducted on the 17 January2008 to remember those who arrived on the Porpoise in 1808.